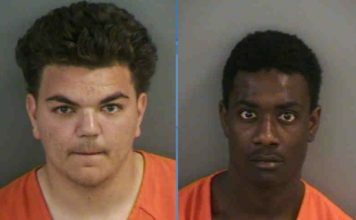 Detectives arrested a 17-year-old in connection with a shooting that happened in Lehigh Acres early in December. Deputies responded to a shooting on the 400 block of Robert Avenue, Lehigh Acres around 5:30 a.m. December 8. Deputies found a 23-year-old man at the residence with several gunshot wounds, LCSO said. The victim was taken to the hospital, where he is still receiving treatment. 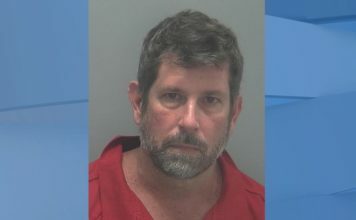 LCSO says that due to the significance of his injuries, detectives with the Homicide Unit took over the investigation. Detectives learned that Destiny Maldonado, 17, had visited the victim earlier in the evening. As the victim accompanied Maldonado to her car, she allegedly shot the victim and robbed him. Maldonado, was arrested and faces charges of attempted first degree murder, robbery and conspiracy to commit robbery. Detectives believe there are other suspects involved in this incident, and request the public’s assistance in the investigation. Anyone with information on the identities and whereabouts of the suspects are asked to call Crime Stoppers at 1-800-780-TIPS (8477). All callers will remain anonymous and will be eligible for a cash reward of up to $3,000. Tips may also be made online at www.southwestfloridacrimestoppers.com or by submitting a tip on the P3Tips mobile app.